It didn’t take long from the birth of the world wide web for the public to start using this new medium to transmit, collect and analyze information in ways never before imagined. The first message boards and clunky “Web 1.0” websites soon gave way to “the blogosphere.” The arrival of social media was the next step in this evolution, allowing for the formation of communities of interest to share information in real time about events happening anywhere on the globe. But as quickly as communities began to form around these new platforms, governments and militaries were even quicker in recognizing the potential to use this new medium to more effectively spread their own propaganda. Their goal? To shape public discourse around global events in a way favourable to their standing military and geopolitical objectives. Their method? The Weaponization of Social Media. Facebook. Twitter. YouTube. Snapchat. Instagram. Reddit. “Social media” as we know it today barely existed fifteen years ago. Although it provides new ways to interact with people and information from all across the planet virtually instantaneously and virtually for free, we are only now beginning to understand the depths of the problems associated with these new platforms. More and more of the original developers of social media sites like Facebook and Twitter admit they no longer use social media themselves and actively keep it away from their children, and now they are finally admitting the reason why: social media was designed specifically to take advantage of your psychological weaknesses and keep you addicted to your screen. It should be no surprise, then, that in this world of social media addicts and smartphone zombies, the 24/7 newsfeed is taking up a greater and greater share of people’s lives. Our thoughts, our opinions, our knowledge of the world, even our mood are increasingly being influenced or even determined by what we see being posted, tweeted or vlogged. And the process by which these media shape our opinions is being carefully monitored and analyzed, not by the social media companies themselves, but by the US military. MARINA PORTNAYA: When the world’s largest social media platform betrays its users, there’s going to be outrage. ABC HOST: The study to see whether Facebook could influence the emotional state of its users on that news feed. CNN ANCHOR: It allowed researchers to manipulate almost 700,000 users’ news feeds. Some saw more positive news about their friends, others saw more negative. CNN GUEST: Well I’m not surprised. I mean we’re all kind of lab rat than the big Facebook experiment. PORTNAYA: But it wasn’t only Facebook’s experiment. It turns out the psychological study was connected to the US government’s research on social unrest. MORNING JOE GUEST: This is really kind of creepy. PORTNAYA: And it gets worse. What you may not know is that the US Department of Defense has reportedly spent roughly $20 million conducting studies aimed at learning how to manipulate online behavior in order to influence opinion. The initiative was launched in 2011 by the Pentagon’s Defense Advanced Research Projects Agency, otherwise known as DARPA. The program is best described as the US media’s effort to become better at detecting and conducting propaganda campaigns via social media. Translation: When anti-government messages gain ground virally, Washington wants to find a way to spread counter opinion. As worrying as this research is, it pales in comparison to the knowledge that governments, militaries and political lobby groups are already employing squadrons of foot soldiers to wage information warfare in the social media battlespace. AL-JAZEERA ANCHOR: The Pentagon’s got a new plan to counter anti-American messages in cyberspace. It involves buying software that will enable the American military to create and control fake online personas—fake people, essentially—who will appear to have originated from all over the world. The plan is being undertaken by CENTCOM (US Central Command), and the objective of the online persona management service is to combat enemy propaganda by influencing foreign social media websites. CENTCOM has hired a software development company called “Ntrepid,” and, according to the contract, the California-based company will initially provide 50 user licenses, each of which would be capable of controlling up to 10 fake personas. US law forbids the use of this type of technology, called “sockpuppets,” against Americans, so all the personas will reportedly be communicating in languages like Arabic, Persian and Urdu. CTV ANCHOR: So is it okay to have the government monitor social media conversations and then to wade in and correct some of those conversations? With more on this, let’s go to technology expert Carmi Levy. He’s on the line from Montreal. Carmi, do you think the government’s monitoring what you and I are saying right now? Is this whole thing getting out of line, or what? CARMI LEVY: It opens up a bit of a question. I’d like to call it a Pandora’s box about, you know, what exactly is the government’s aim here, and what do they hope to accomplish with what they find out? And as they accumulate this information online—this data on us—where does that data go? And so I think as much as we should applaud the government for getting into this area, the optics of it are potentially very Big Brother-ish. And the government really does need to be a little bit more concrete on what its intentions are and how it intends to achieve them. 4WWL REPORTER: New evidence that government-owned computers at the Army Corps of Engineers office here in New Orleans are being used to verbally attack critics of the Corps comes in an affidavit from the former editor-in-chief of nola.com. Jon Donley, who was laid off this past February, tells us via satellite from Texas, in late 2006 he started noticing people presenting themselves as ordinary citizens defending the Corps very energetically. JON DONLEY: What stuck out, though, was the wording of the comments was in many ways mirroring news releases from the Corps of Engineers. SANDY ROSENTHAL: These commenters tried to discredit these people . . .
4WWL REPORTER: And when Rosenthal investigated, she discovered the comments were coming from users at the internet provider address of the Army Corps of Engineers offices here in New Orleans. She blamed the Corps for a strategy of going after critics. ROSENTHAL: In the process of trying to obscure the facts of the New Orleans floodings, one of their tactics was just verbal abuse. NAFTALI BENNETT: Mo’etzet Yesha, in conjunction with My Israel, has arranged an instruction day for Wiki editors. The goal of the day is to teach people how to edit in Wikipedia, which is the number one source of information today in the world. As a way of example, if someone searches the Gaza flotilla, we want to be there. We want to be the guys who influence what is written there, how it’s written, and to ensure that it’s balanced and Zionist in the nature. These operations are only the visible and publicly-admitted front of a vast array of military and intelligence programs that are attempting to influence online behaviour, spread government propaganda, and disrupt online communities that arise in opposition to their agenda. That such programs exist is not a matter of conjecture; it is mundane, established, documented fact. In 2014, an internal document was leaked from GCHQ, the British equivalent of the NSA. The document, never intended for public release, was entitled “The Art of Deception: Training for a New Generation of Online Covert Operations” and bluntly stated that “We want to build Cyber Magicians.” It then goes on to outline the “magic” techniques that must be employed in influence and information operations online, including deception and manipulation techniques like “anchoring,” “priming” and “branding” propaganda narratives. After presenting a map of social networking technologies that are targeted by these operations, the document then instructs the “magicians” how to deceive the public through “attention management” and behavioural manipulation. That governments would turn to these strategies is hardly a shocking development. In fact, the use of government shills to propagate government talking points and disrupt online dissent has been openly advocated on the record by high-ranking government officials for the past decade. In 2008, Cass Sunstein, a law professor who would go on to become Obama’s information “czar,” co-authored a paper entitled “Conspiracy Theories,” in which he wrote that the “best response” to online “conspiracy theories” is what he calls “cognitive infiltration” of groups spreading these ideas. It is perhaps particularly ironic that the idea that government agents are actually and admittedly spreading propaganda online under false identities is, to the less-informed members of the population, itself a “conspiracy theory” rather than an established conspiracy fact. Unsurprisingly, when confronted about his proposal, Sunstein pretended to not remember having written it and then pointedly refused to answer any questions about it. LUKE RUDKOWSKI: My name is Bill de Burgh from Brooklyn College, and I know you’ve written many articles. But I think the most telling one about you is the 2008 one called “Conspiracy Theories,” where you openly advocated government agents infiltrate activist groups of 9/11 Truth and also stifle dissent online. I was wondering why do you think it’s the government’s job, or why do you think the government should go after family members who have questions and 9/11 responders who are lied to about the air, survivors whose testimony conflicts, and also government whistleblowers that were gagged because they released information that contradicts the official story. CASS SUNSTEIN: I think it was Ricky who said I’d written hundreds of articles and I remember some and not others. That one I don’t remember very well. I hope I didn’t say that. But whatever was said in that article, my role in government is to oversee federal rule-making in a way that is wholly disconnected from the vast majority of my academic writing, including that. RUDKOWSKI: I just want to know is it safe to say that you retract saying that conspiracy theories should be banned or taxed for having an opinion online. Is it safe to say that? SUNSTEIN: I don’t remember the article very well. So I hope I didn’t say either those things. RUDKOWSKI: But you did and it’s written. Do you retract them? SUNSTEIN: I’m focused on my job. Now, a decade on from Sunstein’s proposal, we know that military psyops agents, political lobbyists, corporate shills and government propagandists are spending vast sums of money and employing entire armies of keyboard warriors, leaving comments and shaping conversations to change the public’s opinions, influence their behaviour, and even alter their mood. And they are helped along in this quest by the very same technology that allows the public to connect on a scale never before possible. Technology is always a double-edged sword, and sometimes it can be dangerous to wield that sword at all. There are ways to identify and neutralize the threat of online trolls and shills, but the phenomenon is not likely to go away any time soon. Each of us must find our own answer to the question of how best to incorporate these technologies into our life. But the next time you find yourself caught up in an argument with an online persona that may or may not be a genuine human being, it might be better to ask yourself if your efforts are better spent engaging in the argument or just turning off the computer. Am I the only one who has noticed that someone likes to take old conspiracy type videos on MaoTube, and re post them unchanged but with “Flat Earth” in the title. Tricky little bastards. In my opinion, some decent solutions to the govt’s disinfo campaign is to have multiple sources of information, think critically about each, and don’t take websites or media figures’ words as gospel truth on everything. A big man-hug to Derrick Broze for his article Court Decision Could Lead to EPA Banning Water Fluoridation. The target on this lawsuit will effectively shut down the U.S. water fluoridation program. Please email the Dallas City Council members telling them to stop the water fluoridation program for the 25 cities it administrates. Excellent and very much needed video. Just wanted to add the Eglin Air Force Base reddit-gaming discovery to the pile. The documentary linked below is a great resource with probably well over five million views at this point, maybe well over 6mil now. Instead of concluding that it is something users want to access, YouTube has more or less isolated and obscured it. – so you have to search for it doggedly and very specifically to actually get to this original posting. Otherwise, now, you get a plethora of newer postings which confuses the issue; many of them chopped-up into various shorts; you’d have to inspect each one to see if it has been edited, presuming you are already familiar with the original. Some newer postings of it are no doubt genuinely well-intentioned uploads by people wanting to make sure it’s still up, even if as chopped-up shorter video sequences – Good Samaritans. Clearly YouTube’s disgraceful handling of this, while pathetically see-through, is designed to confuse – which is the real McCoy? To me that’s malicious censorship – complicity with the criminals that the film exposes? The original’s full length is 3:27:55 – perhaps a bit challenging, but it’s a very worthwhile three and a half hours. I think it works best watched in its presented form, but if you want to get a comprehensive synopsis (is that oxymoronic?) you might watch the last half-hour first, and then go back and watch again from the beginning in however many sittings suit you. While I originally watched from beginning-to-end in sequential sittings, I’ve also seen the whole film out-of-sequence many times over (I’ve never actually watched the whole 3.5 hours in one sitting). I’d like to suggest that in solidarity with the filmmaker we could all direct people to the original posting easily by emailing this URL as a link, and also actually download the movie and copy it onto DVD’s to give away physical copies that could be shared easily – like Good Samaritans ourselves. By the way, I had nothing to do with the video’s production or official distribution – I just think it’s a great documentary. I don’t expect everyone will or should agree with every detail presented in such a vast overview (although I find it mostly spot-on), but it’s an excellent tool especially for anyone new to the rabbit hole as it brings lots of pieces together in context. Would you want to review this doc James? I wonder if Connolly is available for an interview. I have heard him speak well of you in interviews. “The following content has been identified by the YouTube community as inappropriate or offensive to some audiences. I think the 3.5 hour belabored presentation without footnotes is a bigger issue, though. I am familiar with much of the research, but can’t make it through this thing so far. What exactly is stopping you from making it through the video? YouTube or something inside you? I watched this film at various sittings a couple of years ago and found it to be spot on and very powerful. Thanks for following up and checking! Not footnotes per se, but more like a bibliography or general source listing. That’s not perfect – I too would prefer a set of comprehensive footnotes – and perhaps we can suggest that the author/publisher develop that as an addendum? – I would support that. Meanwhile the narrative of this documentary is impressive and generally worthy of note because it integrates a very big picture perspective that isn’t often or generally available. I think it’s especially useful for anyone new to the rabbit hole, but also anyone interested in an integrated larger narrative. Also, I think most Corbettiers (new word for my dictionary!) are already in agreement with most of this subject matter via prior familiarity with many of the original sources. Where there is disagreement here, that also presents an opportunity to fine-tune various understandings of divergence amongst the open community, in good faith. I presume you’ve had at least some interaction with viewing the documentary since you are familiar with some of its format. The effect of your criticism is to cast doubt on its accuracy, but that in turn should be addressed to particular assertions that you believe absolutely require sourcing information and/or that you specifically do not believe to be accurate. I actually think that could be helpful. It would also be especially worthwhile if specific assertions that you might find dubious or objectionable were on an order that significantly swayed the bigger picture, as that is, again, the point here, and pursuing those types of points in that light would help avoid unnecessary quibbling. Life is short and there’s lots of real work to be done. If you find the 3.5 hours simply onerous (again, I happened to find it worthwhile), you are not obliged to engage a good faith conversation on specific and significant assertions – and honestly, indeed, considering the 3.5 hours, you’re probably not alone on that. But likewise, if you haven’t seen it, you haven’t seen it. Basically, I have skipped through segments trying to get into a groove with it over the past tear or so on a few occasions. It has been around for awhile and I have tried. As I said, I recognize the research. I am not casting doubt on its accuracy and apologize if that is the way it came off. On the contrary, from what I did see it is based on similar understandings of history to my own. I shouldn’t have said its length was a worse problem than censorship either. I simply meant, the censorship hadn’t prevented ME so far. Now of course it may prevent people from seeing it. It really is a matter of time, taste and, perhaps, the point in life at which these things hit one. Right now, I would rather get through Joe Plummer’s synopsis of Tragedy and Hope or dip into Quigley himself or study the Rothschild’s in 19th century literature or whatever. If I were new to this, it might be just the thing that opened my eyes. As it is, yes to me it moves unnecessarily slow when I am fairly certain I know where it’s going. It presumes suspense when I feel impatient. This is not a universal judgment by any means. 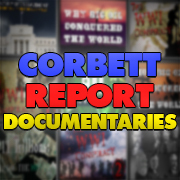 But I prefer a documentary style like Corbett’s, who presents amazing amounts of material crisply and quickly with notes and sources as needed. You’re not shooting the messenger, just his style/delivery. Well, if I came off as shooting anything, that was my fault. Apparently, because of the loyalty it inspires, the delivery has its place. I will say this, though: the current lockdown of YouTube and the public net in general makes pith more important than ever. If you believe in the helpfulness of this particular presentation, I would encourage you to boil it down, brief the audience like our time is important. If there are things the longer presentation can do that a shorter can’t, tell us about that. This is important, even if it’s just to do quick teasers on Youtube to get people over to see it on Steemit. I have seen the documentary in it’s entirety, (yes, all at once), some years ago. I have also re-watched it more than once. I found it to be very good, although I cannot say that all of his conclusions are in line with my own research, most are, and those that are not, are close. However you choose to view it, I do recommend it, and have shared it with numerous people over the years since it came out. As I said, I don’t agree 100% with all of it, but I don’t think anyone who is truly seeking reality will regret watching it. I’m not sure of the most appropriate place to put this comment. A common theme throughout many of James’ recent videos is the slow but certain demise of Google/YouTube etc. The censorship they are imposing on so many alt-media sites like James’ and others. Today I learned of a remarkable tale that is ‘actually taking place today’ (to paraphrase one of James’ favourite sayings). 1984 on so many levels. Some here may or may not be fans of David Icke. I can relate to 80-90% of the stuff he puts out. Regardless, no one on this planet should be subjected to the treatment he received recently by the authorities in England. From my seat, it’s the tip of the iceberg. Personally, I like Icke, agree with much of his general import, choose to take the “lizard” stuff as allegory and fable, and find much of the rest very accurate and well intentioned. Same thing as with Bill Cooper, I can’t exactly account for everything, but there is undoubtedly truth there. We must recognize that organized criminal practices and personnel have been folded into the officialdom. That means in the medical realm (a real problem that may end up costing some of us our lives); in the enforcement realm; in the media realm; in the banking realm (which may end up costing some of us our livelihoods); and in the union realm (as in employee representation, which I support in some ways, but is de facto largely mob controlled, often with earnest players as fronts as well as critical mass). In this case with Icke the venue was scared shitless Mafia style. People need to get their heads screwed on straight and support Icke to appear, regardless of whether they agree with his assertions. It must be understood that censuring in this way is a crime. Yes I found the video to be deeply disturbing, hence the need to post it here. Is the day not too far off when James has a speaking engagement in country ‘x’, has his tickets booked, arrives in said country only to find that his engagement has been cancelled due to anti-terrorism officers making an irrational decision to intimidate the venue’s operators? This is where I log my silly comments and continually return looking for that dopamine hit, which I then get to translate as validation, that somebody likes me. Ha, well fat chance of that! 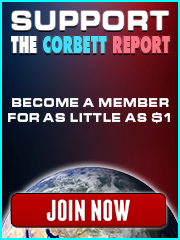 However, I’m perfectly aware that next to a nice dry burgundy wine the Corbett Report is the closest I’ve come to being addicted to anything. makes me shake my head in denial and acute discomfort when I think about how the kids, my children, are being conditioned to seek with such avidity those “likes” and “streaks” and “fire icons” etc. MBP- WOW. YOU SAID IT. Ive not been the same since discovering 1664 just over the border. Im sure it has something going for it other than the 5.5% alc/vol. “…When the U.N. released its latest climate report in October, it warned that without “unprecedented” action, catastrophic conditions could arrive by 2040. She struggled too, because there wasn’t much she could do for them. …The steps encourage participants to confront their climate fears and sadness and acknowledge that they are part of the problem as polluters in a carbon-fueled system, but also find the motivation and strength to be part of the solution. “Is this the climate change depression session?” asked Kelton Manzanares, 27, from Utah. “You’re in the right place,” replied Schmidt. Manzanares took his place in the circle of about 20 people in a patch of grass. Schmidt asked participants what they wanted to get out of the session. Jordan plans to bring the program back to her family and hopes that it will help her kids cope. “They express sadness over the loss of animal species and anxiety over the unknown, like if there will be enough food in the future and where people displaced by rising seas will live,” she said. Almost all of the young people interviewed for this article said they were struggling with the ethical implications of having children. Jordan said she used to talk with her kids about becoming parents someday. “I’d say, ‘You’ll be such a good dad.’ Now, it feels wrong. They don’t talk about it anymore either,” she said. This is so depressing Manbearpig. People genuinely looking for “hope” and “empowerment” only to be taught how to normalise sadness, grief and despair. Good grief makes me want to scream…perhaps I should send them the Angela Davis version of the serenity prayer: ” I am no longer accepting the things I cannot change…I’m changing the things I cannot accept”. a Marxist Warburg-funded Washington DC-based think tank credited with establishing The New Left in the USA (including the Black Panthers and the Weathermen) during the sixties and seventies. Do you think bipolar antagonism comprises the very building blocks of our biochemistry? Wow mbp… that’s an interesting question. Love how you got there..I’m thinking on it. Maybe you could flesh out ‘bipolar antagonism’? and perhaps as symbolized by the (di)polarity of water itself, the building block of life as we know it, that is both powerfully cohesive and dis-solvant… ? sorry… just lazing on a Sunday afternoon… but thanks for the question! At least I feel socially validated! Repent for your climate sins, you sinner!! This modern tale comes from the National Oceanic and Atmospheric Administration, also known as NOAA (pronounced NO-ah), which claims that the greedy and sinful ways of humans are causing CO2 to increase and temperature to rise to dangerous, unprecedented levels. NOAA was deemed to be truthful and without flaw, able to accurately forecast the temperature, the sea-level and the alkalinity of the oceans 50 years and more into the future. The people of Earth were warned time and again that they needed to forsake their sins of emission and abandon their greedy use of fossil fuels or face a climate apocalypse.